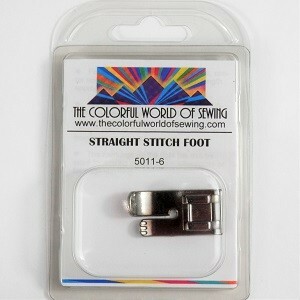 The Straight Stitch Foot is ideal to use every time you are sewing a straight stitch. 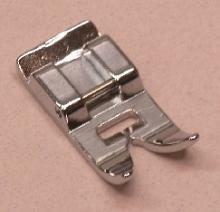 The small needle opening allows the threads to lock more uniformly, thus producing a better looking stitch. 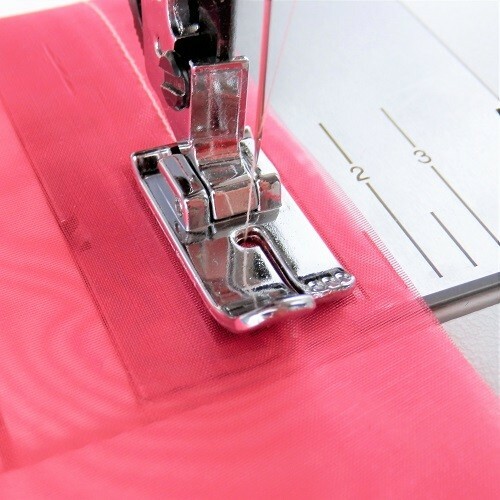 In addition, the extra support of the Straight Stitch Foot helps prevent delicate fabrics and knits from getting jammed into the needle plate since the fabric is being held more securely. Includes instructions.